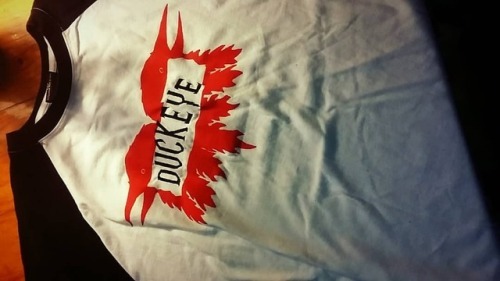 This particular @iamduckeye tshirt is a prototype design idea that utilises both screen printing and embroidery. Rather than clean the old logo off, @galvan.kenny and I taped off the lettering and created the window for Trish to embroid in DUCKEYE. If you dig it, I’ll put some up on our bandcamp (link in bio or Google it) when they’re ready. In the meantime, get the successfully crowd funded 4th album on vinyl with free download via the bandcamp cos you’re heaps into supporting us ratbags.